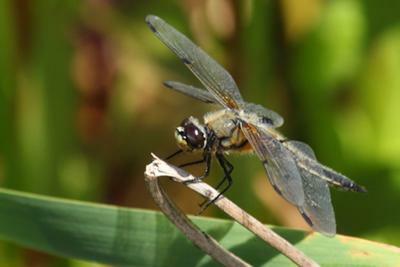 A relatively small lens aperture was needed just to keep most of this dragonfly in focus. One of the types of photography I enjoy tinkering with is macro photography. Depth of field really comes into play as a big factor in the final photo. I used a single 13mm Opteka lens extension tube with my Canon 85mm f1.8 lens and Canon 20D SLR, mounted my my Manfrotto 3021 tripod with pistol grip ball head. Exposure was f-3.5 at 1/50 second, ISO 400 using natural window light, coming through my kitchen window from the right,with a large white reflector board filling the shadows on my left. 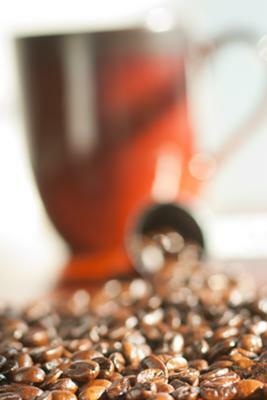 I am a natural lighting geek and I love fresh ground coffee, so the idea came to me to create a still life photograph. I wanted to use the coffee beans, natural lighting and at least one of my extension tubes to create a decent narrow depth of field example. It's not an award-winning photo for sure, it lacks a center of interest, but it is a good example of how you can control the focus and depth in your image. A 20D has a cropped sensor, not full frame. Forgetting that, looks like you've just gone for maximum bokeh you could get, which I think it to detriment to photo. Just so little in focus, and what is in focus is just on edge of photo making it uncomfortable to view. The angle of the photo also is distracting - just slightly off. This looks like an advertisement pulled out of a magazine. The blur and the lighting create a real soft feel. When doing macro photography depth of field is always a big factor in the end result of your photo. In this example taken by Petr Kratochvil, the narrow depth of field is necessary to separate the tiny details of the subject from the background. Our talented photographer used a large f-4.5 aperture with a 100mm lens to get the desired shall depth of field. 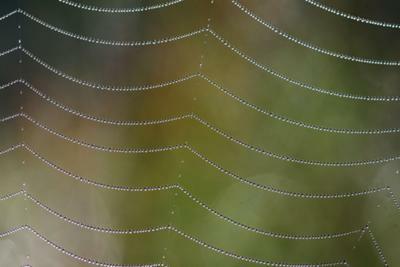 The composition is quite simple and shows the delicate nature of the finely woven tapestry of the spider. This is a good example of where shallow depth of field is really needed. The very fine detail of the water droplets would not show up very well at all if the background was sharp.